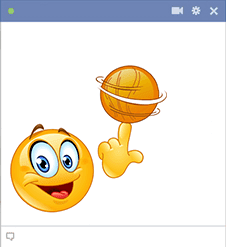 Show some sportive flair in your next post with this ball-twirling smiley. 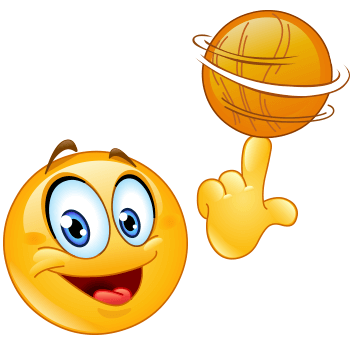 When you've got basketball on your brain, this is the smiley for you! Our smileys will help you express what you're thinking about, what you'd like to do, and even how you feel. Share them with your friends each time you connect on Facebook.